This is a study of how to not only how to survive when power and water are unavailable, but also how to minimize the impact to my current lifestyle during those times. No, I'm not one of those wacko survivalists who stores 10 years worth of wheat in a fallout shelter in preparation for the Apocalypse, and I'm not some wacko tree-hugger worried about the damage my coffee maker might be doing to the environment (although some of the same information might apply to to both of those crowds also). When the people we take for granted to supply food, water and energy can't meet the requirements of day-to-day life, life changes. If the outage lasts long enough, or if the outage happens when it's extremely cold or hot, people can and do die. Others are forced to make dramatic changes just to survive. My interest lies solely with reducing my dependence on those who have proven that they cannot reliably provide those commodities I consider essential for everyday life. I'm interested in solving real-world problems that I see happening every day. Parts of this project stem from basic disaster preparation. Electrical outages happen on a weekly basis in my community - frequent thunderstorms and ice storms down power lines and cause some outages to last as long as 2 weeks. Water outages are common as well. I'm 30, so I remember the gas rationing from the 1970's. 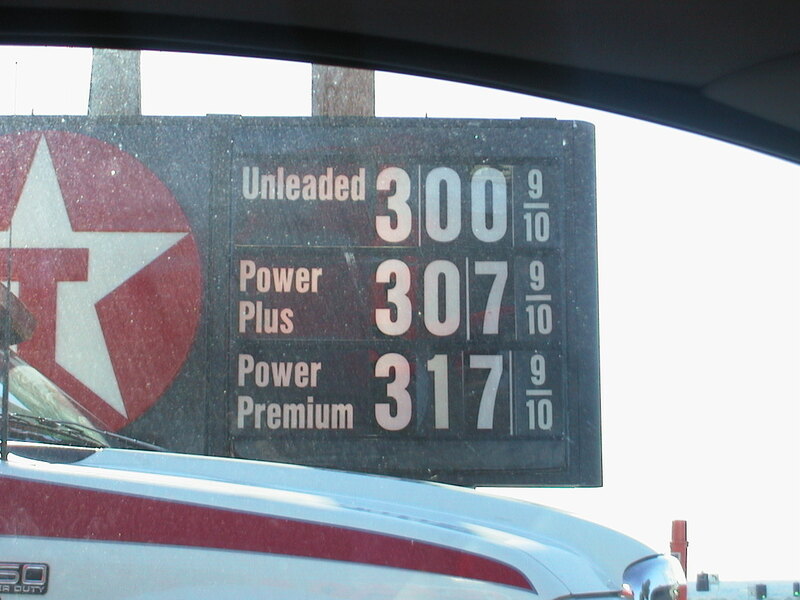 On 9/11/2001, gas prices shot up to $3.17/gallon - not just somewhere, but right here in my town, and lines for gasoline were tremendously long (see below). People like me who rent an apartment or house or live in school or college dorms face special problems. Converting to a wood-burning furnace, installing solar panels on the roof, rewiring the breaker box for a generator, and re-plumbing for a water storage tank and pump is usually not possible in a rental situation, so I examine alternatives to the more conventional forms of alternative energy. When grid power fails, I can't cook or buy food at a restaurant or convenience store. I can't watch television to see if the tornado is headed for my town or call 911 - I don't have a land line any more, and cell towers stop working after about an hour. I'm a writer and computer programmer - when the electricity goes out, there is nothing to do at work. No cash comes out of the ATM when the power is out. If the power is out for more than an hour, there's no hot water either. When the water goes out, there's nothing to drink. I can't cook, clean, wash clothes, shower or brush my teeth, or hose down the neighbor's dog. No gasoline means no transportation to work, school, shopping, the doctor, etc. 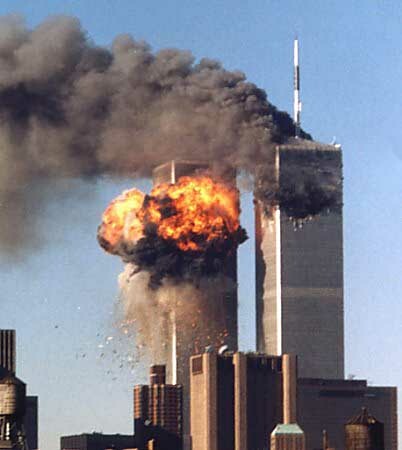 This project started when I learned that 15 of the 19 9/11/2001 Hijack Murderers were citizens of Saudi Arabia. The bottom photos are from my Mid-western town on 9/11/2001. 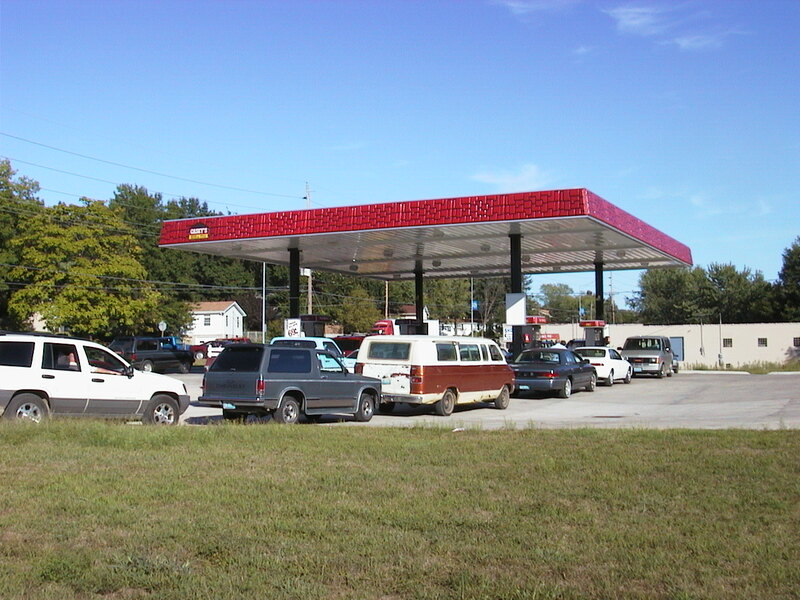 Fuel prices skyrocketed and huge lines formed at the gas pumps. I decided to do what I could to minimize the oil I consumed, so I started researching electric vehicles. I bought an electric bike for commuting to work. I'm down to one tank of gas a month.